The toy juggernaut Masters of the Universe and its subsequent action figure lines featured memorable pack-in minicomics that aided in playtime for children across the world. 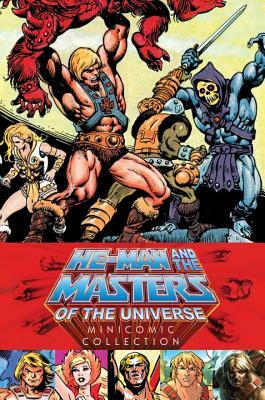 This oversized hardcover collection features sixty-eight U.S. releases, including all minicomics from the '80s Masters of the Universe line, the '80s Princess of Power line, and the '80s and '90s He-Man line, plus an introduction to the minicomics in the current Masters of the Universe Classics toy line. Relive the illustrated adventures that fueled your imagination! The first 11 minicomics that produced were made by DC Comics, who later produced a 5-issue comic series. All other minicomics, from 1984 and on, were produced solely by Mattel. The DC minicomics were drawn by Mark Texieram and Bruce Timm. The author lives in Various.